We are extremely excited to bringing this solution to Unity 2017. 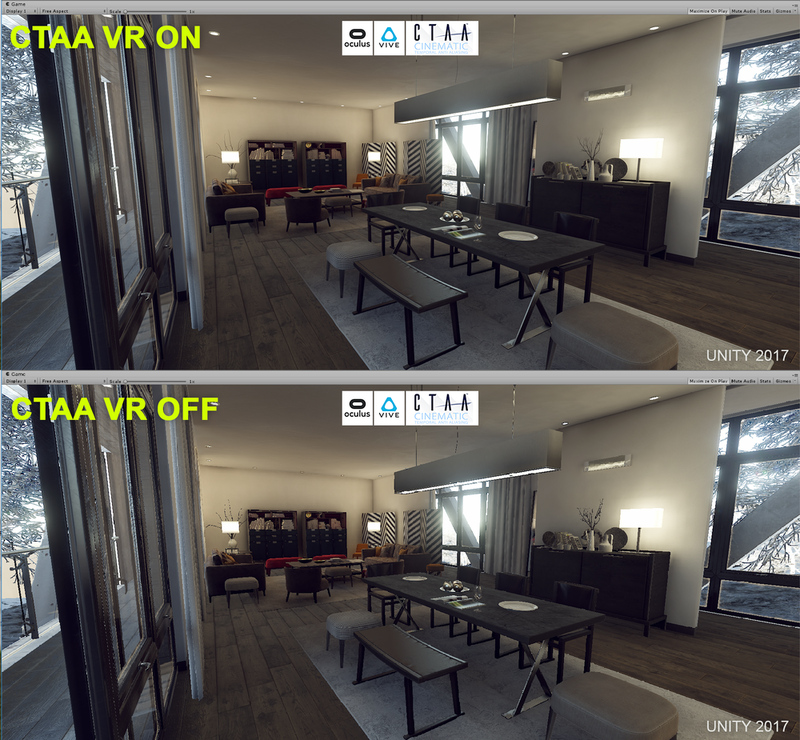 CTAA V3 establishes a viable method for Unity 2017 to use temporal AA for the first time in VR projects. The developer can also enable MSAA at the same time to get unsurpassed AA for their project.